Right now Google has two thirds of the search market. Microsoft (Bing, Yahoo, and AOL) is one third. Internet Man likes Bing. One third of three billion users is a pretty big market. Microsoft’s one third share is increasing. Google’s two thirds is decreasing. Bing actually cares about small advertising. The smart play in search engine advertising is to concentrate on Bing’s one third and let Google’s two thirds go. The reason is advertising rates. Google is high. I cannot, in good conscious, put my clients into Google’s expensive AdWords advertising program. It’s too expensive. Bing on the other hand is a good deal. Where Bing is $1 per click Google is $5. On Bing you can actually do something with $200. As one who has been developing sites for 15 years I hate to see organic recognition go. Sites without external links hardly show up at all anymore. Google has set the tone with their page-rank system. The problem with page-rank is it is a closed system. High page rank sites put no-follow tags on all their links. Low page rank sites can’t get links. Everything is established and nobody moves. Google makes their money by selling advertising – not giving it away for free. Their popularity contest approach to information has closed out all but the established players. You can SEO to the ends of the earth but if you don’t have external links you will never come up. Google doesn’t look at the page content at all. It is page title and links only. Bottom Line: You have to pay for search engine placement now. How Can I Make A Pay-per-click Advertising Program Succeed? I don’t put my clients into Google for paid advertising. It is too expensive for my taste. I can’t in good conscious subject my clients to $5 per click. Right now the best deal in search engine advertising is Bing.com. Bing commands one third of the search market. I think people are leaving Google. They are wary of their big brother tactics. I think their inability to look at page content is starting to hurt their market share. They have been on top for so long they are getting complacent. When all you see is high page rank sites it gets boring after a while. Their assumption that page rank can’t be gamed is not true. It’s nothing but game. All that comes up is sites that have figured out how to game page-rank. When you stick with something too long it gets gamed. Welcome to the Internet. Microsoft Bing on the other hand is fresh, new, and market share is growing. Steve Balmer was not a programmer. He knew nothing about code. The new regime is aware code-wise. They are making improvements. They are becoming more relevant. Things on Bing.com are getting better. After years of being asleep Microsoft is finally beginning to wake up. One third of the search marketing is still a pretty big place. I can place an ad on Bing/Yahoo for $1 a click. That same ad costs $3 or more on Google. 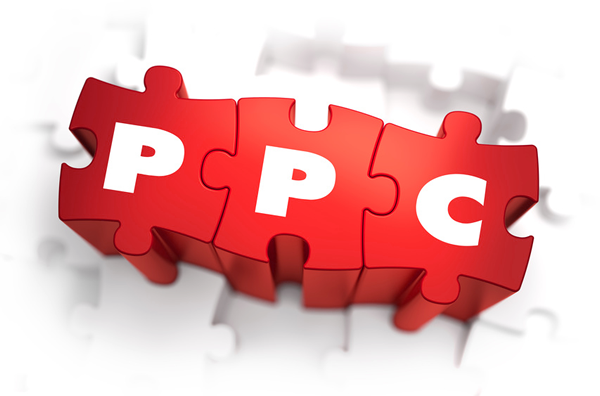 The fact that Google is bigger has no significance in pay per click advertising. We are buying visits from interested prospects for a fee. Where they come from has no bearing. One hundred visits for $100 makes sense. One hundred visits for $300 does not. I’m putting my clients into Bing/Yahoo. Before putting my clients into Bing I checked out Microsoft. I called them on the phone to see if they pick up – several times. I like to do business with people not machines. I was impressed with Bing’s customer service. They came to phone in a reasonable amount of time. They were courteous, patient and helpful. I vetted them and they passed the test. I recommend them in good conscious. They are competing. I am currently recommending a prepaid, fixed amount, with Bing. We can take $100 for example and put it on account with Microsoft with the understanding that it cannot go beyond that amount. What you get in exchange is interested users being directed to a web page of your choosing. This is not the main page of your site. It is a specially designed page that explains your offer. After the $100 is exhausted you can see how many leads you got. That way you have a good idea of your cost per lead. I really like that you can bring people in by the City or State. That way you are not paying for users that cannot become clients. Paid search engine placement can be a good advertising deal. You can get the exact words you want, in the exact location you want, and send them anywhere you want. You are talking to someone who has put up beautiful original content websites for 15 years. The design is top notch. The SEO is top notch. Dispute having compelling content, optimized to hilt, you are still not going to come up. Sadly we have to throw in the towel. Google has become addicted to easy money. They have zero interest in promoting your site. On the contrary they want (and expect) you to pay them for a mention in their index. This page-rank algorithm is a way to keep original content out of their index. Only well connect sites get indexed. Everything else is background noise. If you want recognition – you business name coming up on page one – you have to pay for it. If you have to pay for it you might as well get the best rate. You might as well do it as intelligently as possible. That means sending users to a well crafted landing page instead of to your site. Having low-level search engine listings for what you sell is the best way to make the Internet work in 2016. Rather than spending advertsing $$$ on SEO why not buy the placement directly. SEO effectiveness has gotten so low it is almost a myth. There is nothing that you can do on-screen to come up anymore. That ship has sailed. The best strategy is to take the money you are using on SEO (and related activities) and buy your search terms directly on a prepaid, fixed cost basis. Then send these uses to a landing page designed specifically to close them on your offer. You know how much the clicks cost and you know how much leads cost. Up until now we have thought of the Internet as this huge marketplace where we are trying to get recognition for our companies. The time has come to stop thinking of the Internet in a macro sense. The smart play is to think of it in the micro sense. That means you carve out your little space by PAYING for the recognition. Your little corner of the Internet is you search engine keyword listing, your landing page, and a lead into your email. This is your turf where you have total control. You can make this into anything you want. Google started in 1998. At that time there was three main search engines and 3 million web sites. Now in 2016 there are still three main search engines but there are 900 million web sites. There are 300 times as many sites competing for the same amount of search engine real estate now. This trend is bad for small business and it is only getting worse. Internet Man is offering pay-per-click Bing/Yahoo programs with landing pages. If you are looking to gain recognition for something specific be sure to call us. We can do this reasonably for you. If your program is successful it will a solid addition to your marketing program.